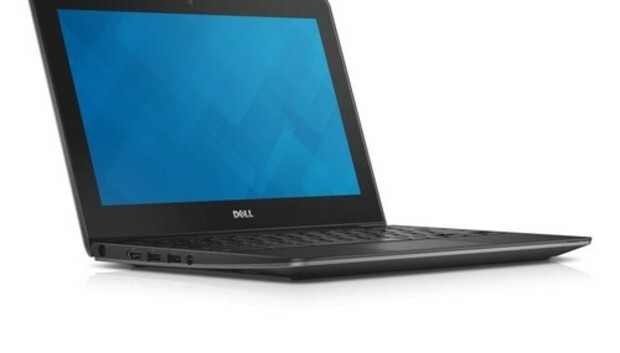 Most Chromebooks on the market rely on Google for online services, but Dell's new Chromebook 11 adds another cloud option to extend file sharing across desktops, laptops and mobile devices. The laptop, announced on Wednesday, will integrate Wyse PocketCloud, which allows files to be accessed, edited and shared across PCs, Macs and Android and iOS smartphones and tablets. Chromebooks are low-cost laptops for those who do most of their computing on the Web. The Chromebook 11, which will ship in January, has an 11.6-inch screen that can display images at a 1366 x 768-pixel resolution. It will be priced under US$300, Dell said. The laptop weighs 1.31 kilograms, offers 10 hours of battery life and has Intel's dual-core Celeron processor based on the Haswell microarchitecture. Other features include 16GB of storage, USB 3.0 ports and an HDMI port. The model, which runs Chrome OS, is targeted at the education market. The PocketCloud application will also turn the Chromebook into a remote desktop. Users will be able to access Microsoft Outlook software on PCs or edit Word, Excel or PowerPoint documents. The application will be available for download in January. "Most schools are likely to add Chromebooks to their existing Windows-based PCs, Macs and iPads, so having a tool like PocketCloud that can share files across multiple devices and multiple platforms is an advantage over those that can only use Google's services," said Bob O'Donnell, chief analyst at Technalysis Research, in an email. The addition of Wyse PocketCloud heightens the value of the Chromebook 11 over alternatives from Hewlett-Packard, Acer and Samsung that have "run-of-the-mill" Google services, said Charles King, principal analyst at Pund-IT. This feature will be helpful for students who want to remotely access Chromebook data from their tablets or smartphones, King said. Dell bought Wyse Technology in April last year for an undisclosed sum, and the cloud software and thin client assets are becoming more important as alternative computing models emerge, King said. Dell in the past has sold low-cost laptop computers with PocketCloud as thin clients, and Chromebooks could be another option, King said. A new wave of Chromebooks running an updated version of Chrome OS hit the market in October. Chromebooks with 11.6-inch screens include Acer's $199 Chromebook C720, HP's $279 Chromebook 11 and the $249 Samsung Chromebook. HP also sells a $299 Chromebook 14 with a 14-inch screen, and Acer's $299 Chromebook C720P has an 11.6-inch touchscreen.